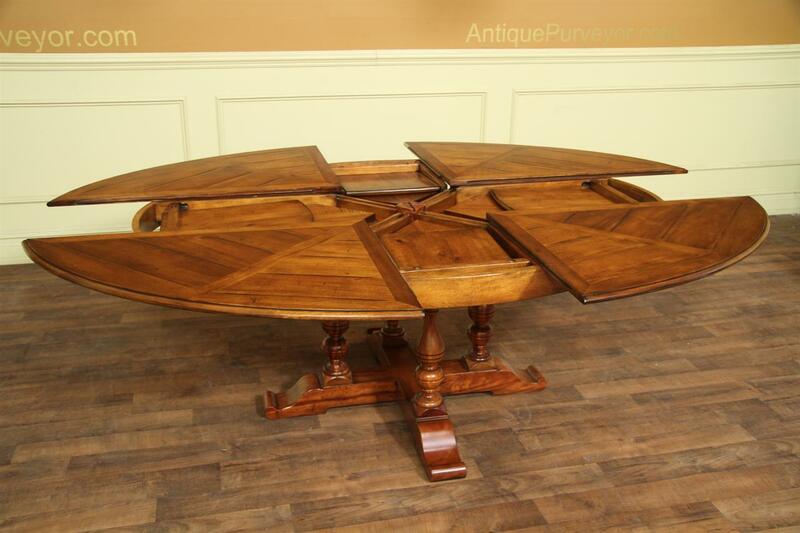 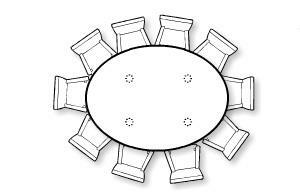 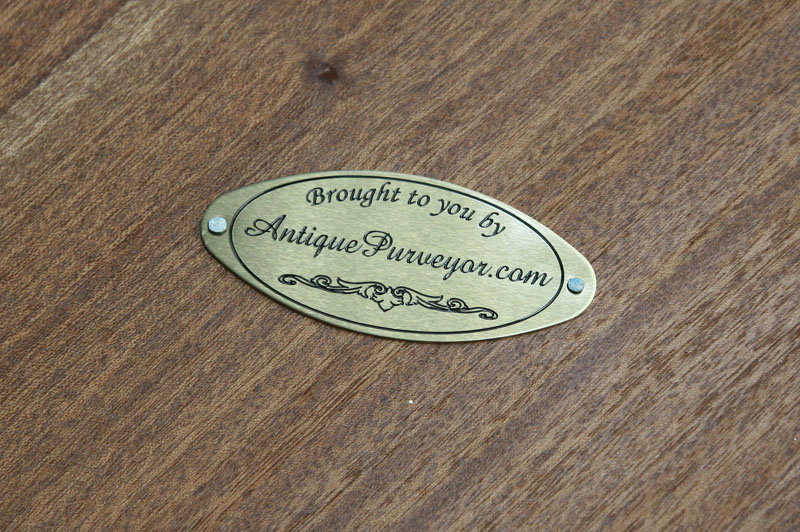 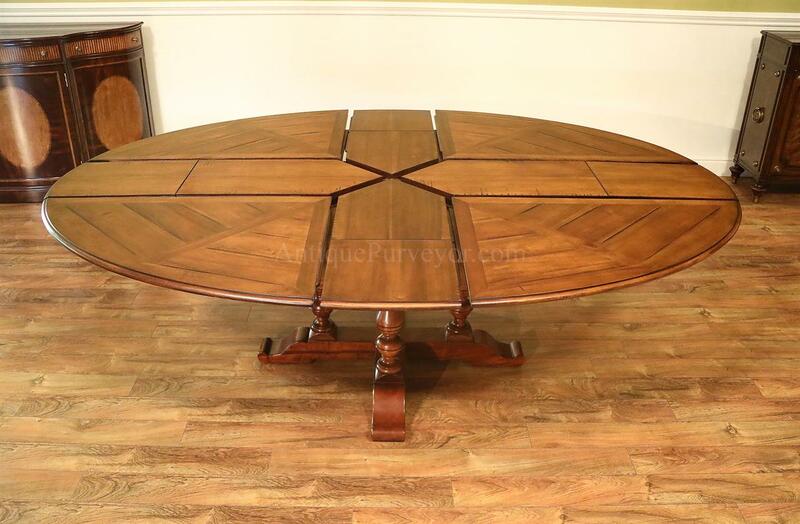 Description: Oval to oval expansion table with hidden and self-storing leaves. 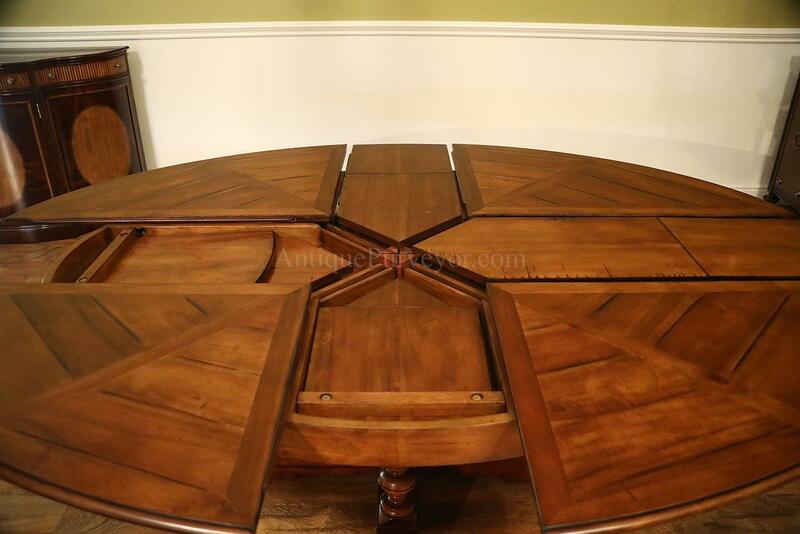 Closed this table is 78 x 55, opened the table is 94 x 70. 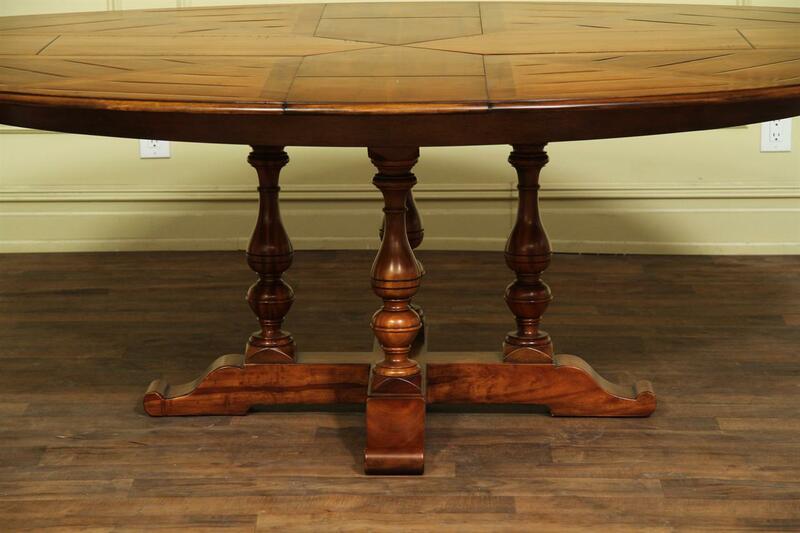 A perfect choice for those who have limited space in there dining or kitchen area. 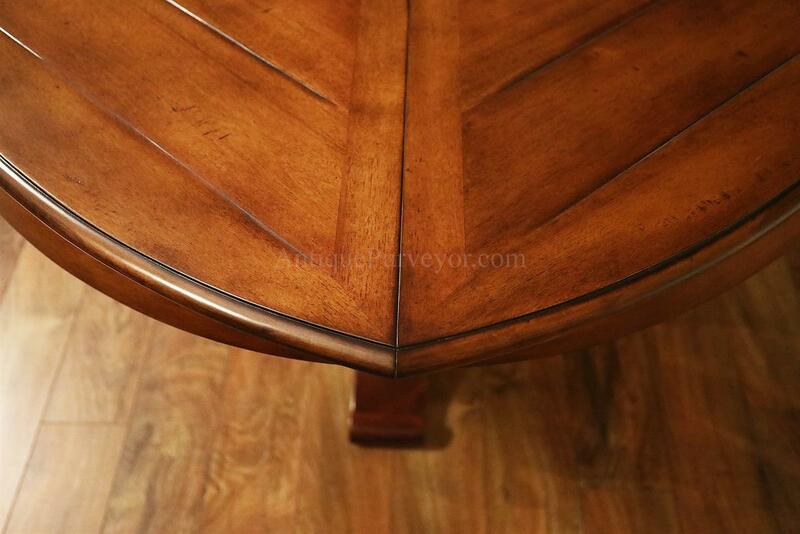 The oval shape will open up your floor space allowing guests to easily walk around your room. 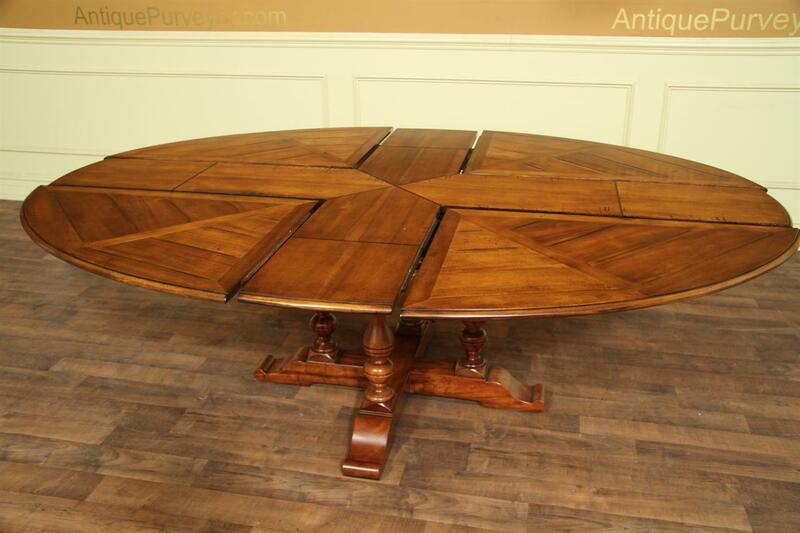 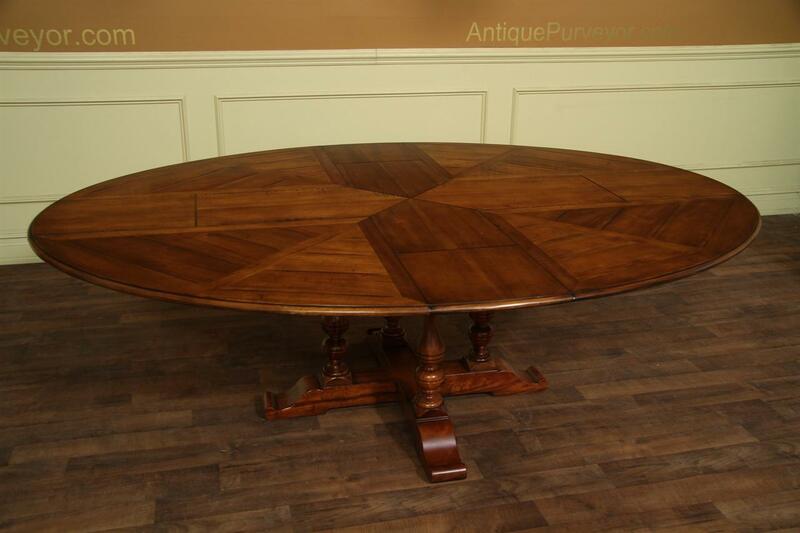 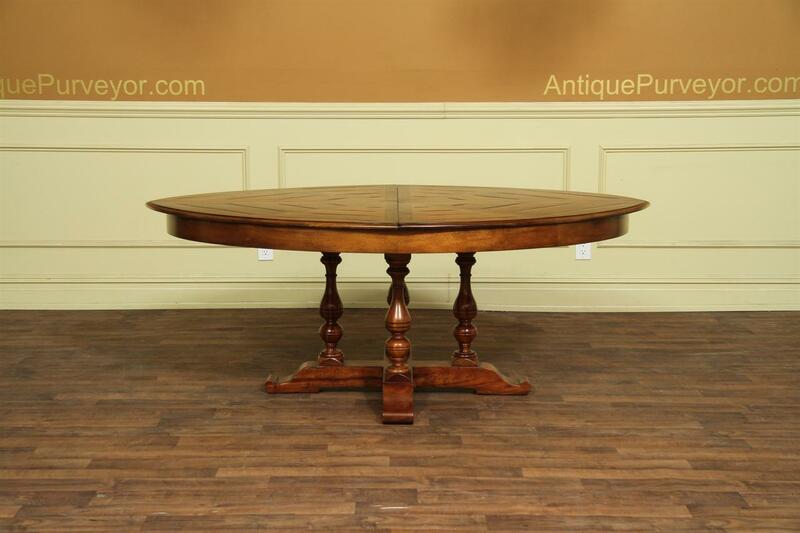 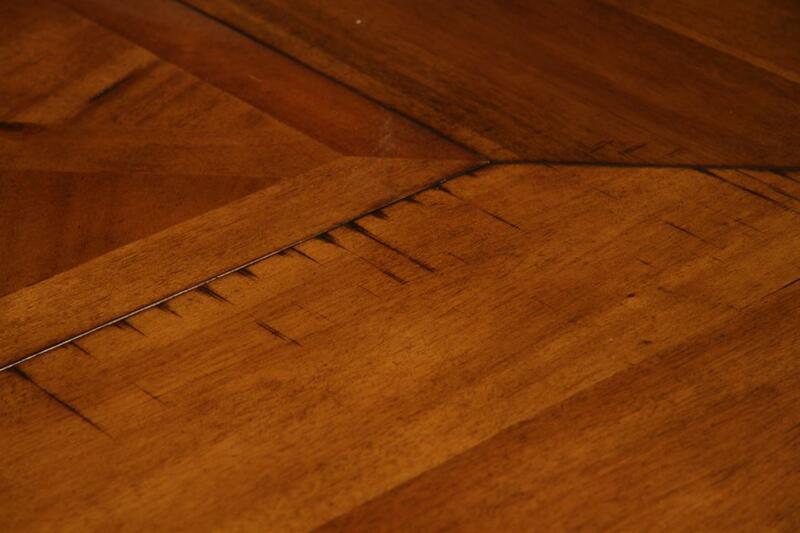 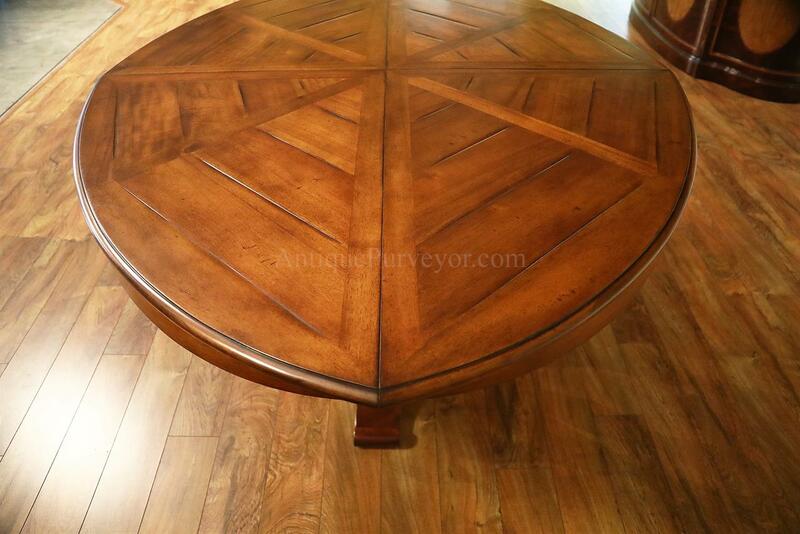 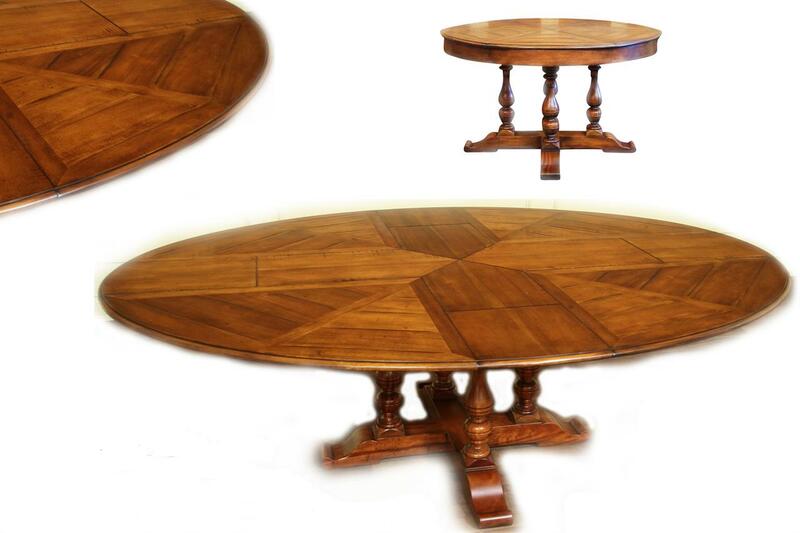 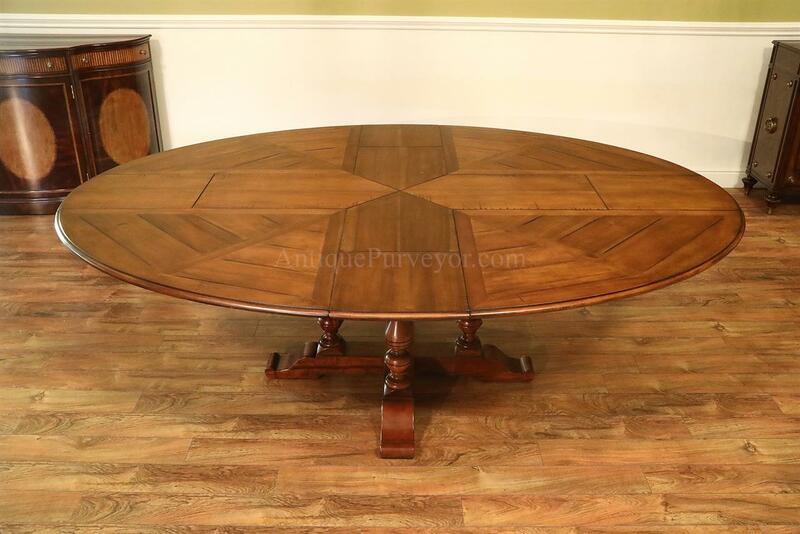 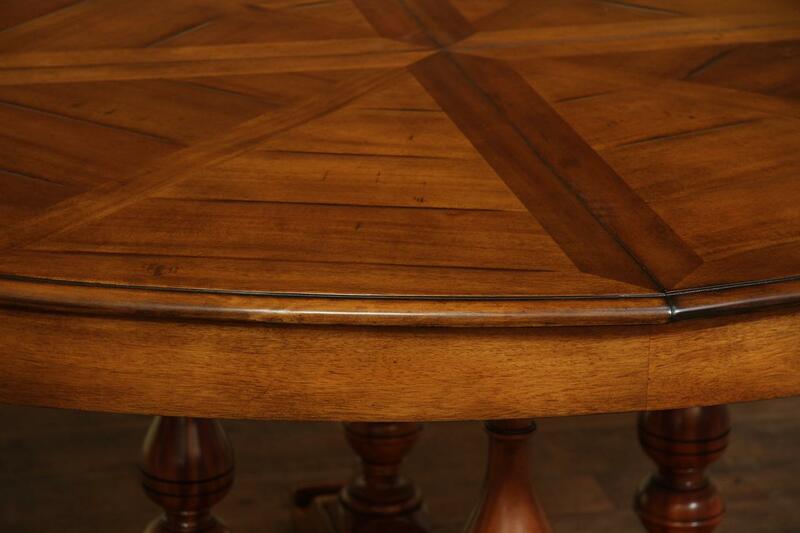 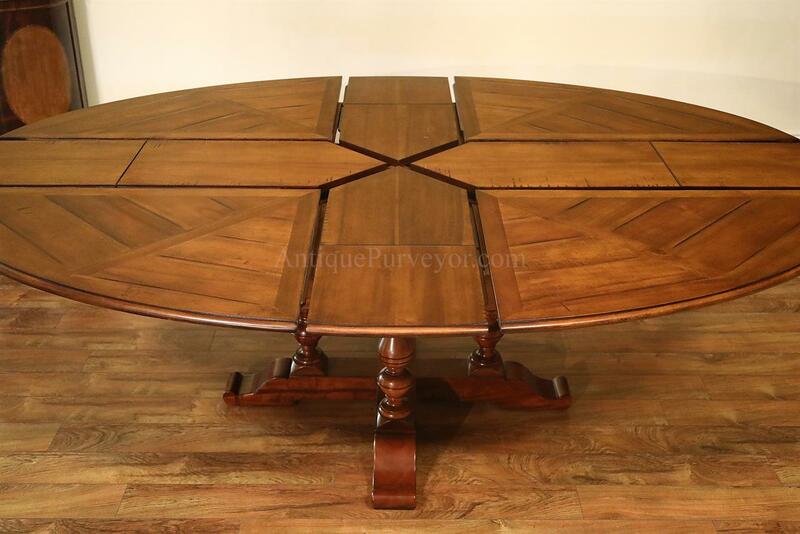 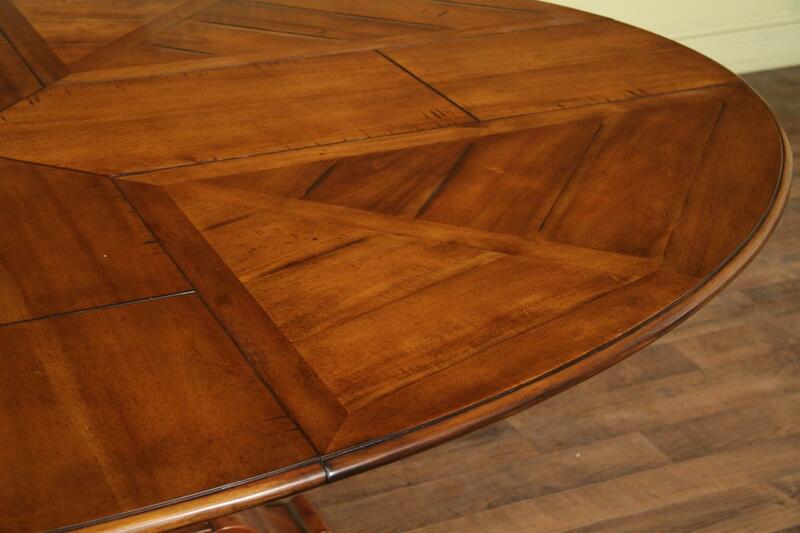 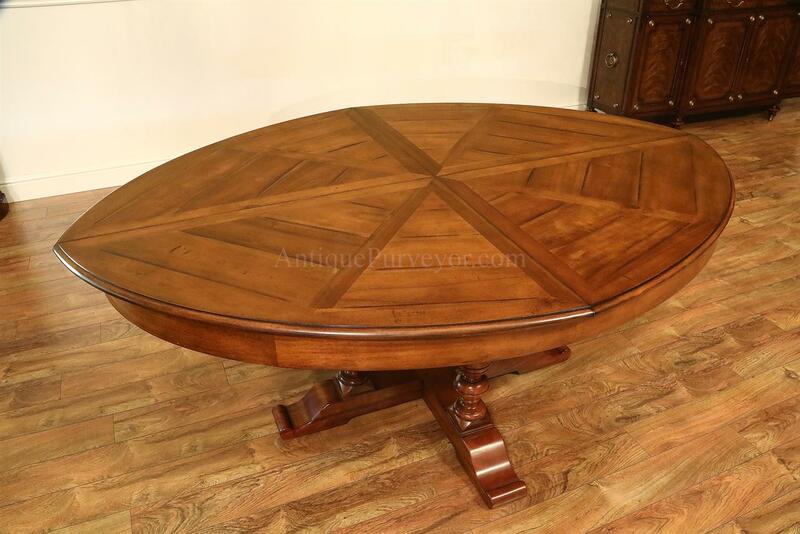 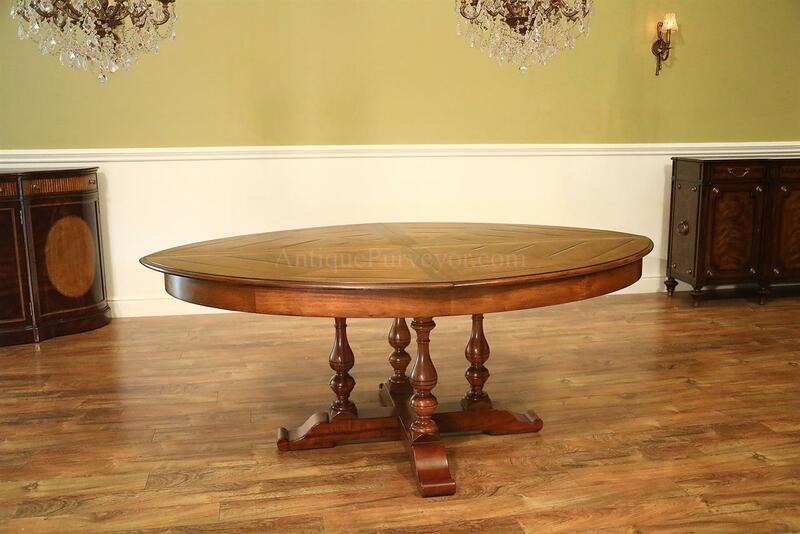 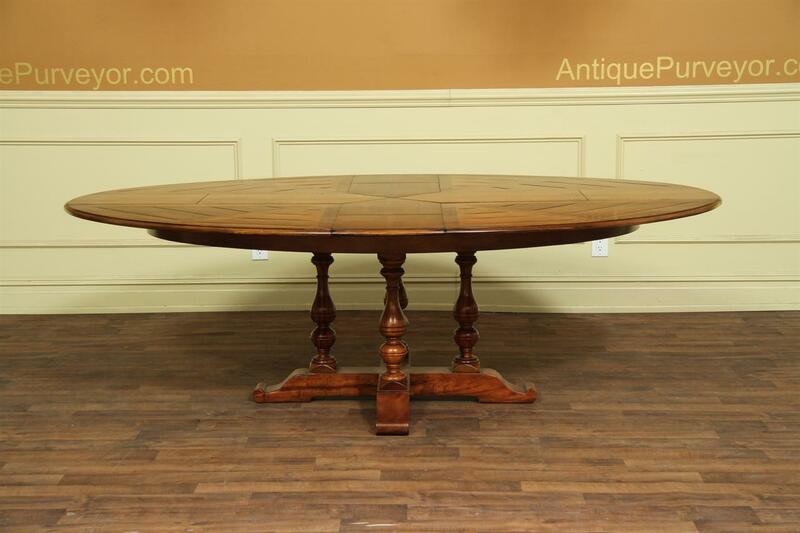 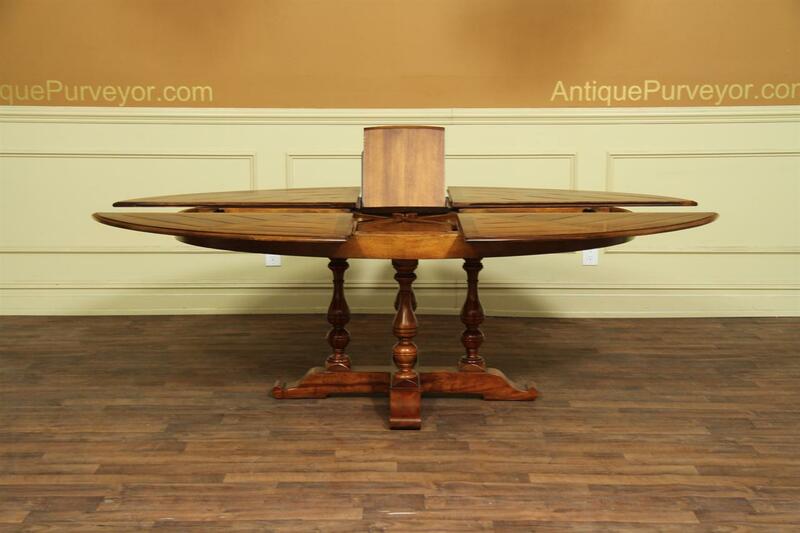 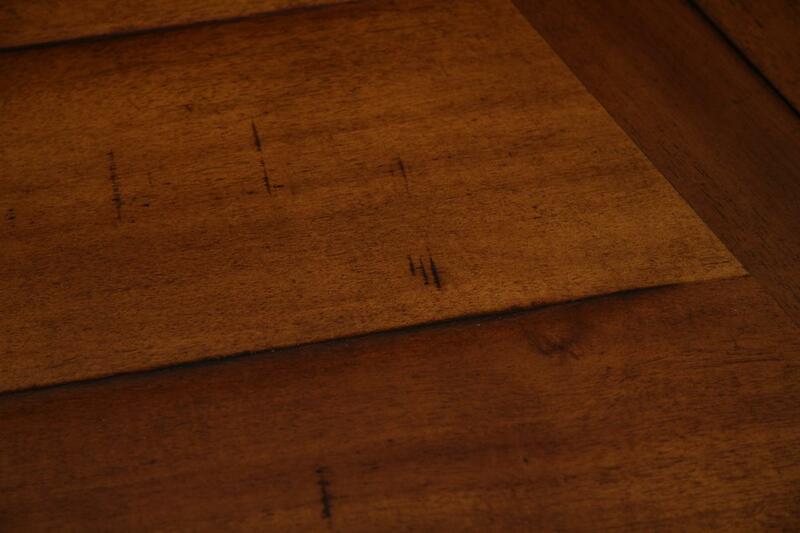 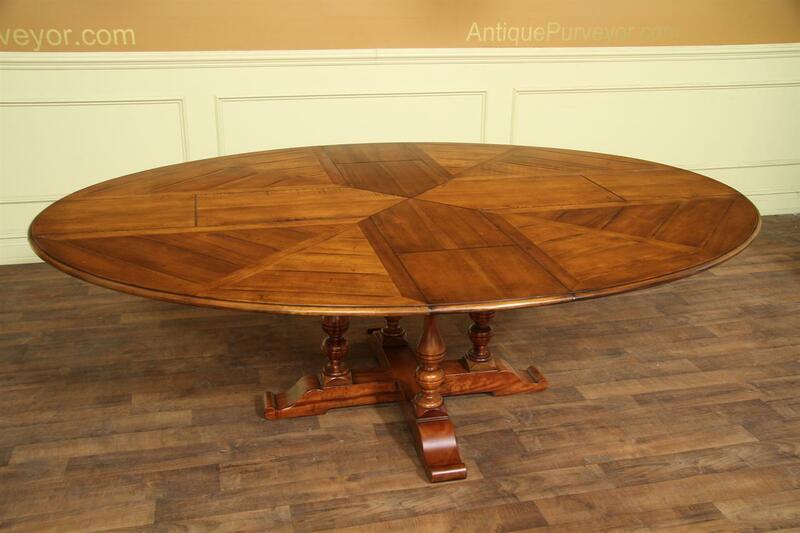 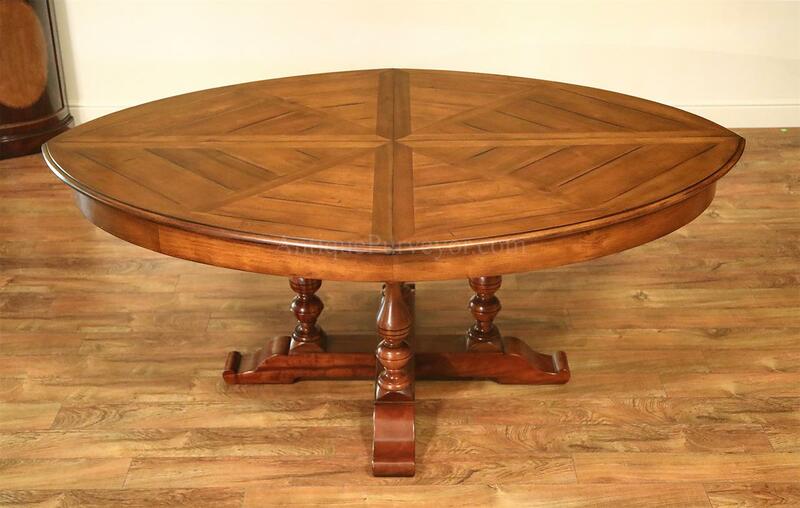 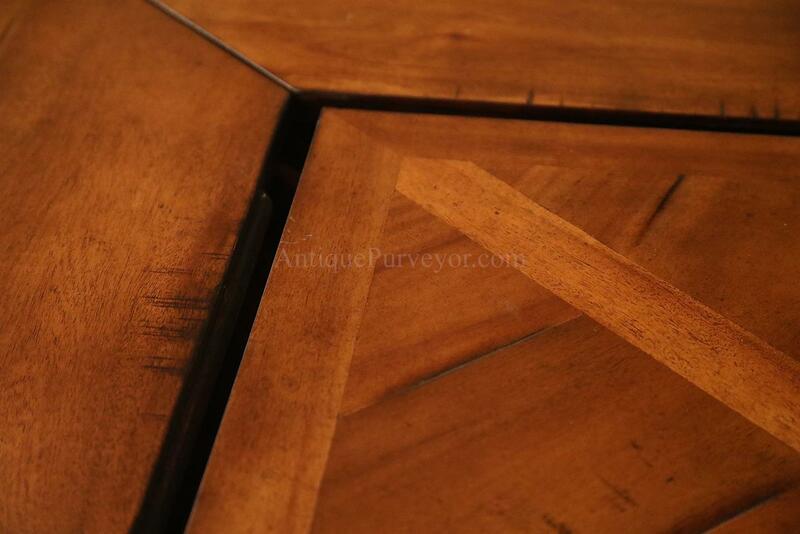 This oval expansion table is made from solid walnut and features a maple color finish with factory distressing. 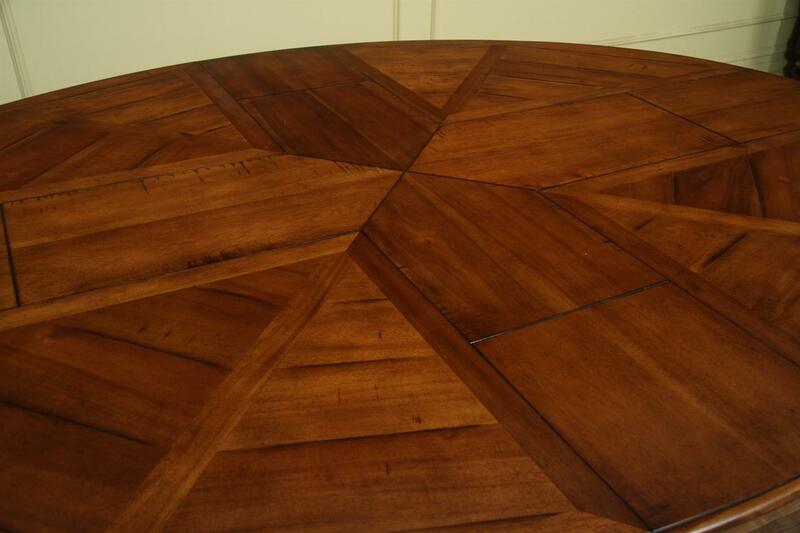 It is a great round table substitute if your space is slightly off square and on the smaller size. 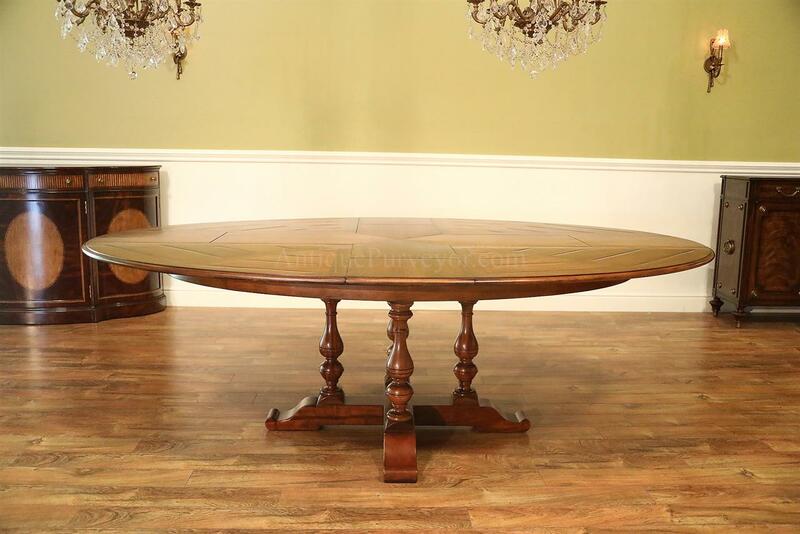 Table will coordinate with casual, country and cottage decor.